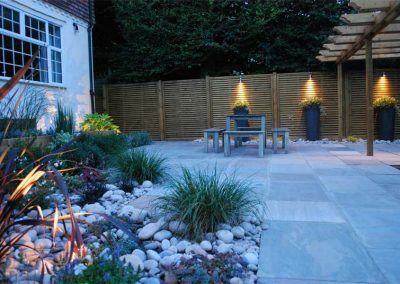 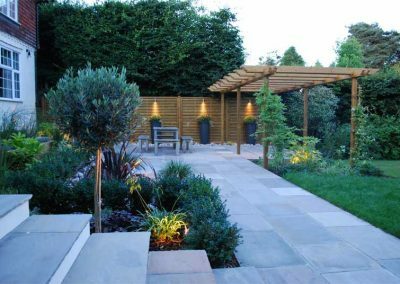 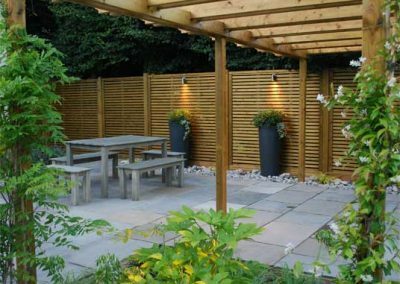 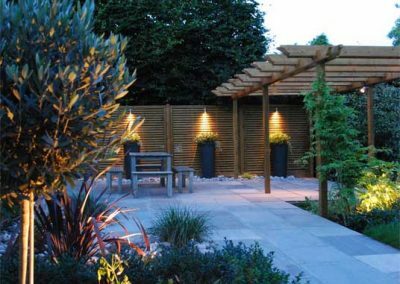 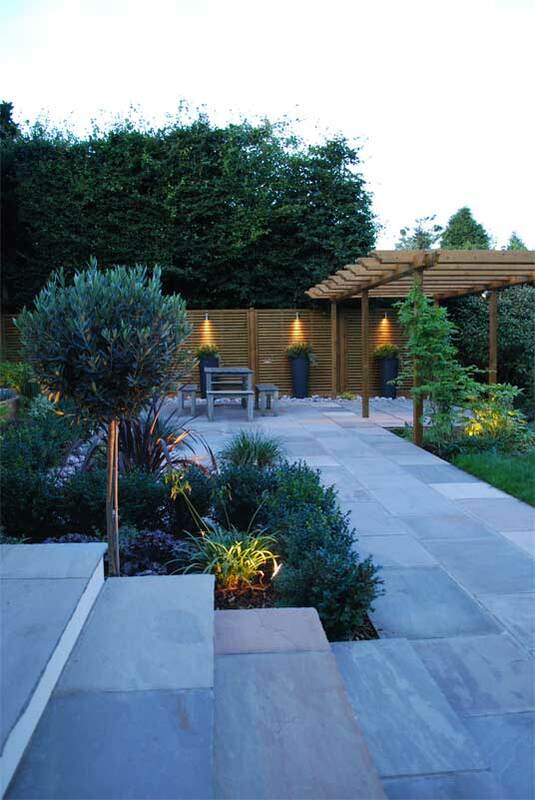 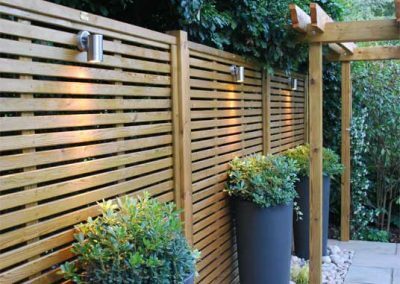 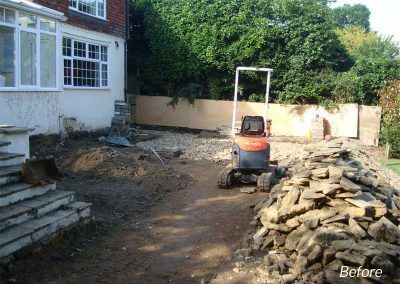 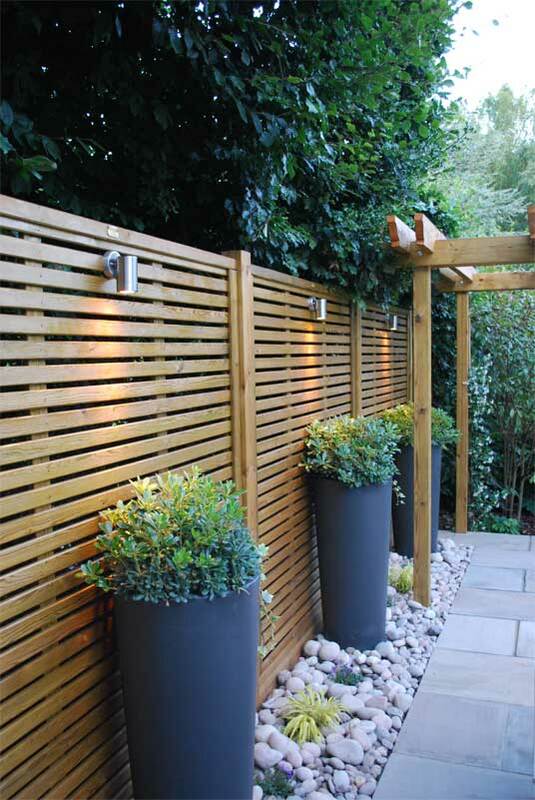 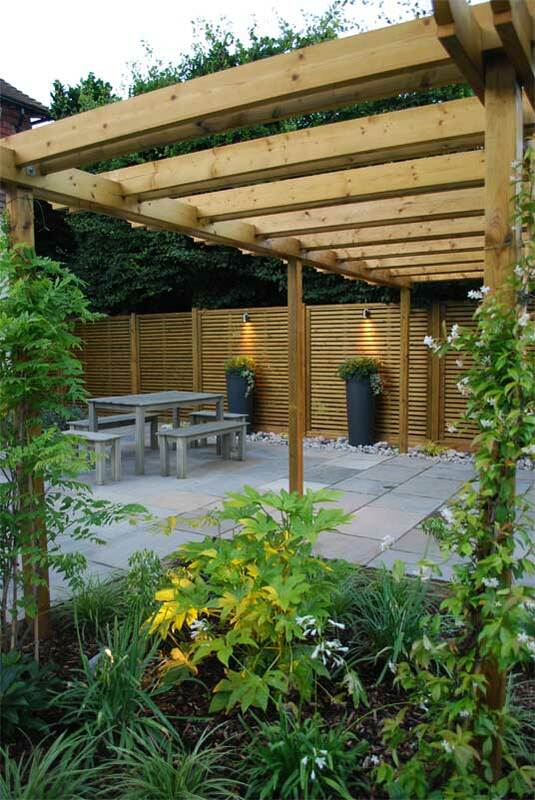 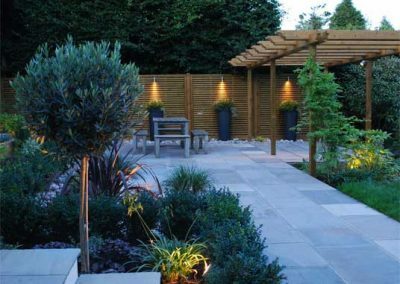 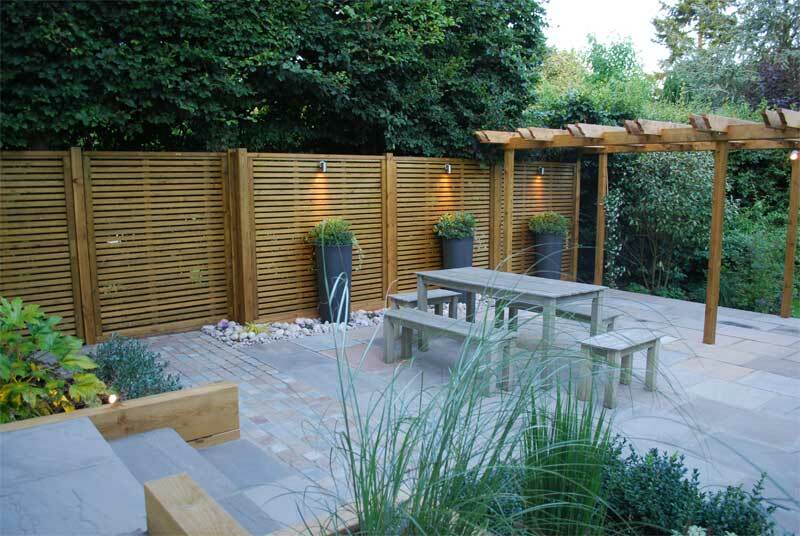 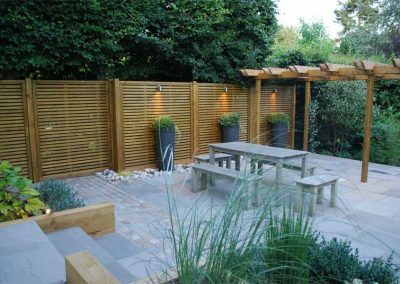 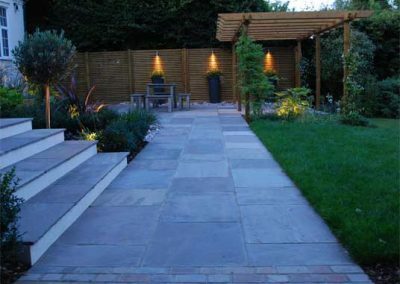 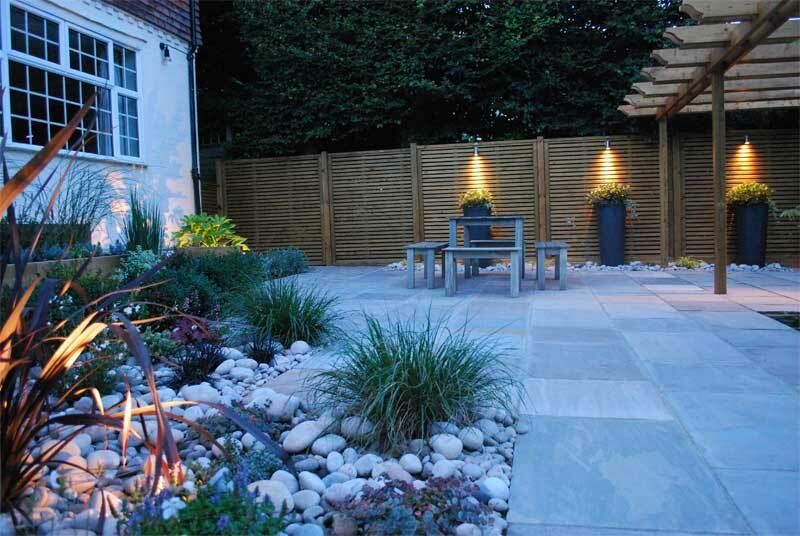 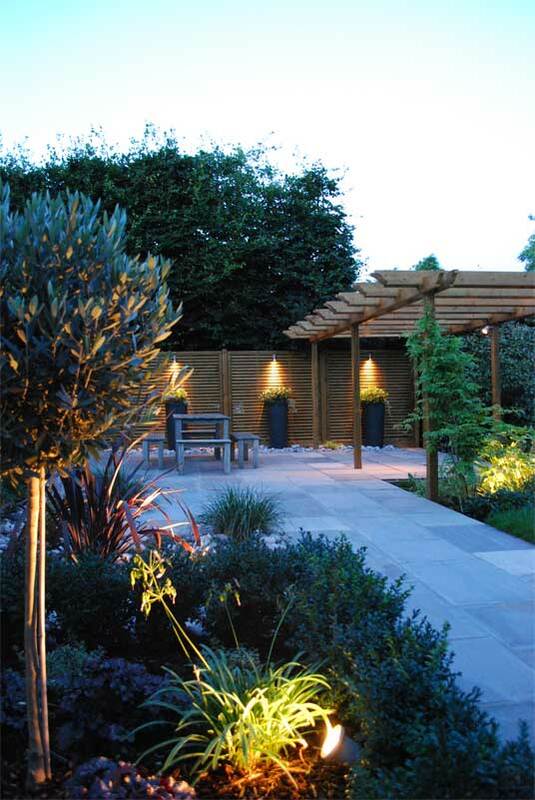 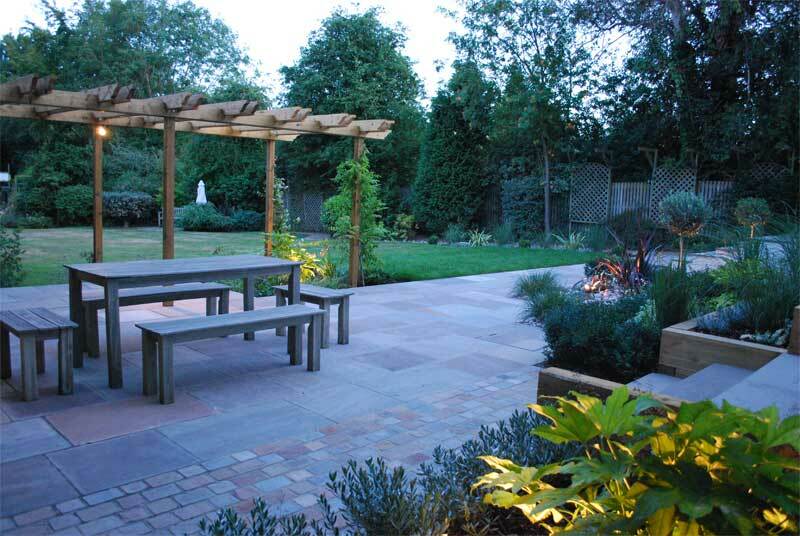 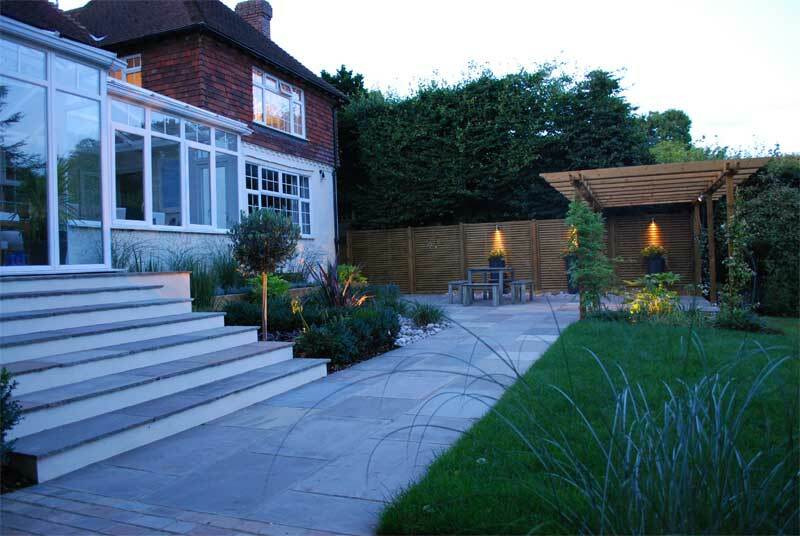 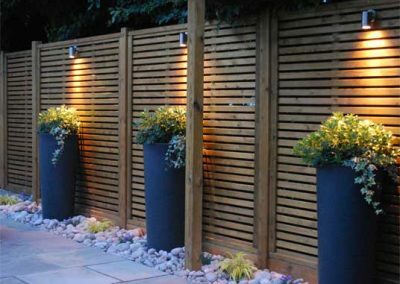 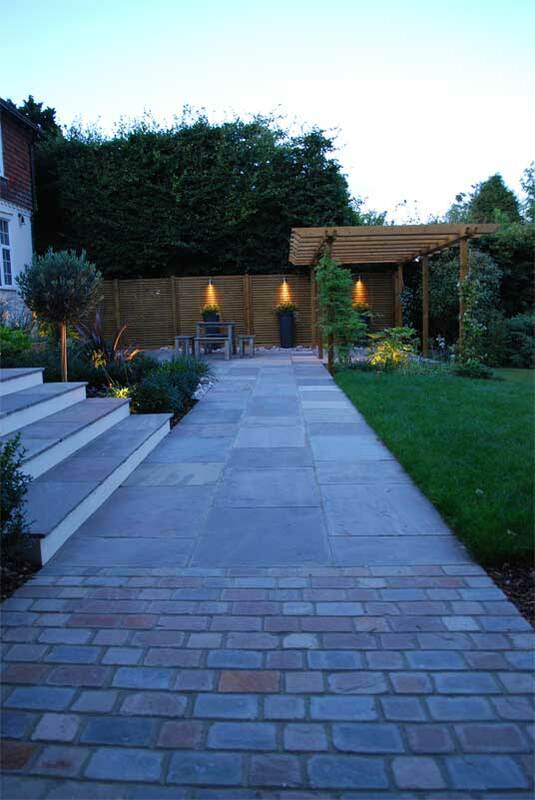 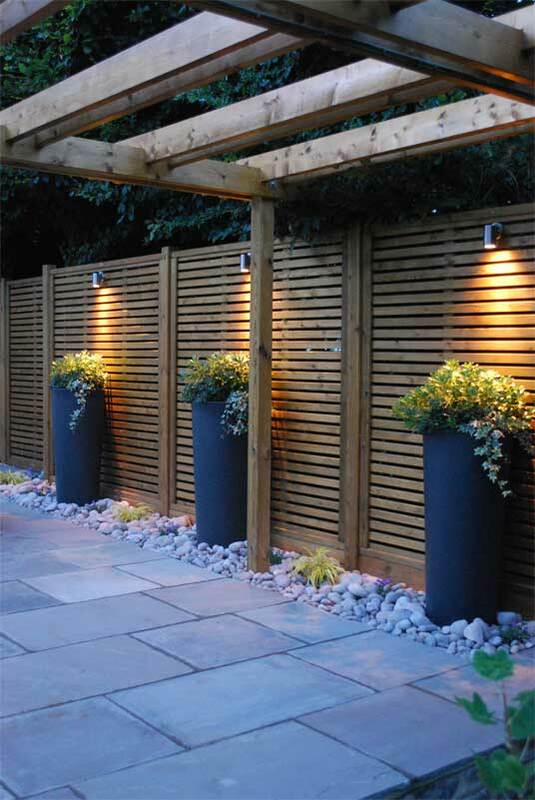 Our brief for this garden design in Surrey was to create a classically contemporary terrace area. 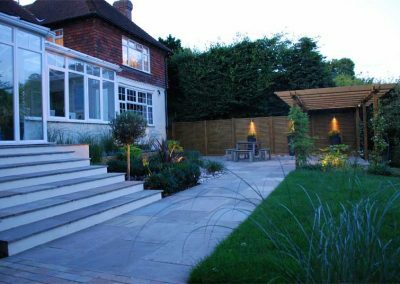 The client was keen to achieve a scheme that incorporated bold simple lines softened by contrasting materials and plants. 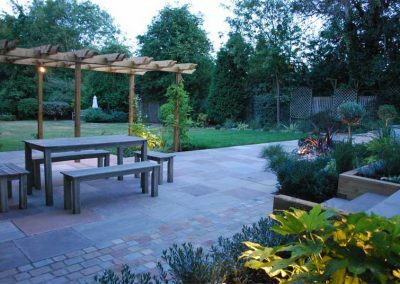 The soft tones of the Sandstone are complimented by the oiled timber structures while the Scottish beach cobbles create a change of texture at ground level. 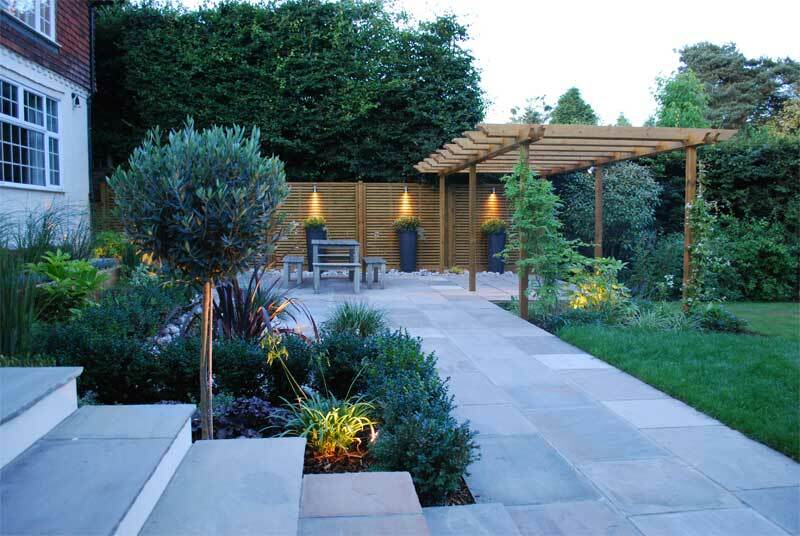 The planting serves its purpose by way of creating focal points, softness and balance.